Warning, purchase of these candles may produce a strong desire to spend more evenings outside. 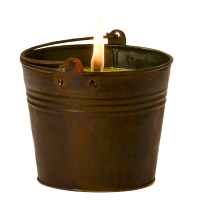 Using these 6 x 6 outdoor candles is a great way to illuminate your patio or deck. They make a great substitution for tiki torches and look very pretty when lit up. We have designed our outdoor pillar candles to stay lit even in breezy conditions. 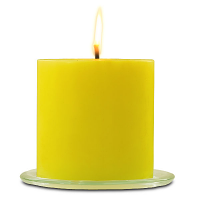 Each candle is made using a thick cotton fiber wick which produces a large flame. The pillars are NOT made to be burned inside because they will produce soot. 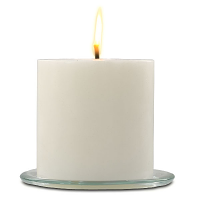 The candles should not be left outside when temperatures are expected to get below freezing because they could crack. They also should not be kept outside during hot summer days since they are made from real wax and could melt in extreme heat.